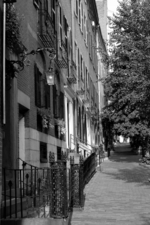 One of Boston's oldest communities, Beacon Hill gets its name from a beacon that once stood atop its hill to warn locals about foreign invasion. 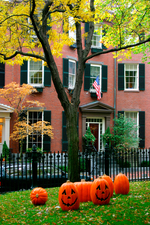 Approximately one square mile in size, Beacon Hill is bound by Beacon Street, Bowdoin Street, Cambridge Street and Storrow Drive. 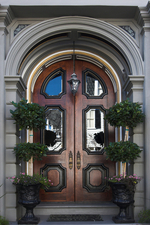 Its architecture and lay- out is reflective of old colonial Boston, consisting of brick row houses with beautiful doors, decorative iron work, brick sidewalks, narrow streets, and gas lamps. 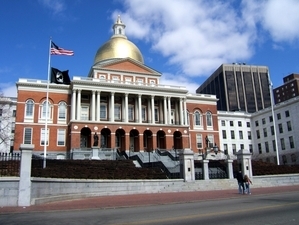 Beacon Hill is also home to the Massachusetts State House and America's first African Meeting House. Charles Street, the neighborhood's main thoroughfare, is lined with antique shops and restaurants. 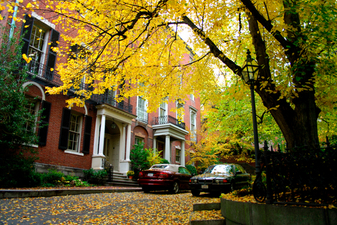 Beacon Hill has been home to many notable Americans, including Louisa May Alcott, Oliver Wendell Homes, Daniel Webster, Robert Frost, Sylvia Plath, and Senator John Kerry. Courtesy of City of Boston Website.